Tens of thousands of viewers have taken to a 24-hour live stream of birds and their chicks, observing the chicks as they hatch and make their first attempts to fly. 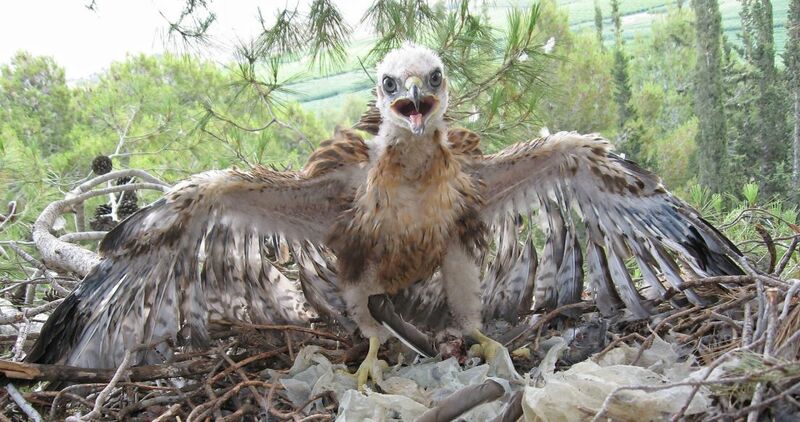 There’s no better reality show in Israel today than the live stream, “from somewhere in Israel” — the location is a secret — of a nest of four month-old long-legged buzzard chicks. Just like in the show “Big Brother,” the high-definition images are broadcast 24 hours a day, seven days a week. The audio is good, and despite the high winds, the fledglings’ chirps can be heard loud and clear. The nestlings are making their first attempts to fly. It turns out that this is quite dangerous. Their nest is on a high cliff, a narrow shelf of rock, and one bad landing could send a novice flier plummeting into the abyss below. After watching the buzzard family for awhile, you can switch to a second webcam, this one trained on a nest of short-toed eagles. Things are a bit slow there for now, it’s just one eagle brooding on a single egg. But that will all change once the chick hatches, and eager viewers will be able to monitor its first steps in the world continually and from close range. 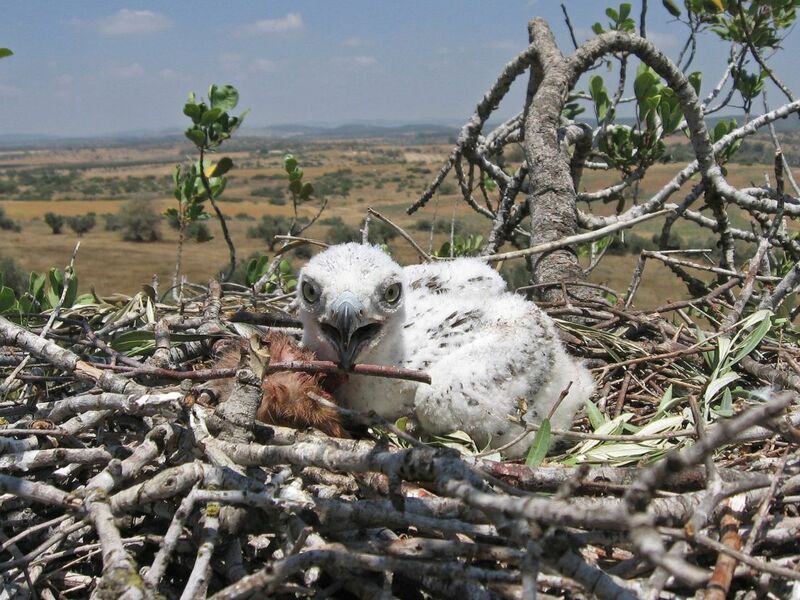 The webcams are part of a cooperative project of the Society for the Protection of Nature in Israel, the Israel Nature and Parks Authority, the Hoopoe Foundation, the Israel Defense Forces' Environmental Defense Forces project, the Kfar Etzion Field School and Guilad Friedmann, an ornithologist from Tel Aviv University who specializes in raptors. 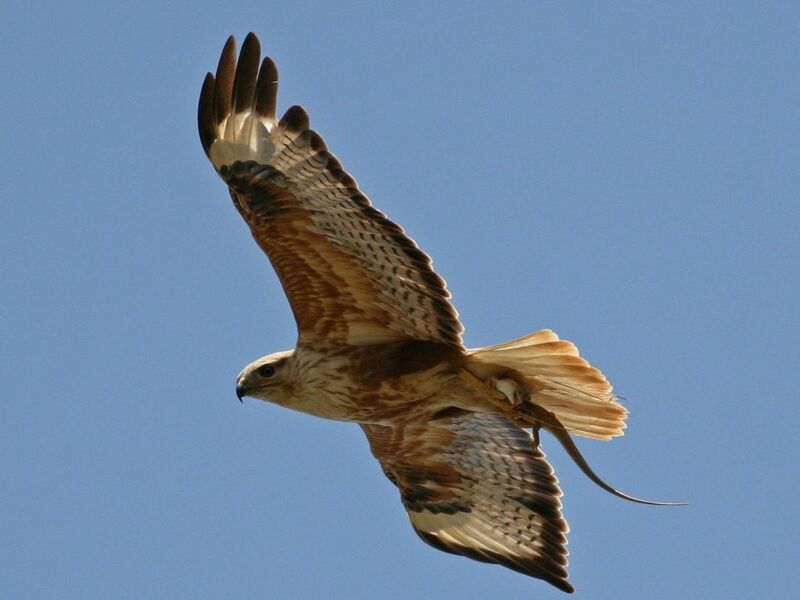 They can be seen on the Israeli bird-watching website: birds.org.il. A third webcam, also accessed on this site, is trained on the nest of a common swift, which nests in urban areas and spends most of its time in flight. There is also a webcam in a nesting box of a white barn owl, located in Be’er Tuvia. The truth is that the broadcast is addictive. It’s unbelievable how long one can stare at birds going about their own private business. I have never followed the development of a raptor’s chicks with such tension, anxiety and interest. No television nature program does a better job of presenting this material. Last week alone, the buzzard’s nest had 33,000 online visitors, and since the camera was installed a few weeks ago more than 80,000 people have looked in on the buzzards. The directors of the project estimate that by the end of the season — in a few weeks from now, when the chicks leave the nest for good — the number of viewers will reach six figures. Friedmann is in the process of completing his doctoral dissertation, his advisers for which are Prof. Yossi Leshem of Tel Aviv University and Prof. Ido Izhaki of the University of Haifa. Friedmann says the webcams are meant more for the general public than they are for scholars. Leshem, who is also associated with SPNI, notes that similar webcams have become hugely popular over the past year throughout the world. The most famous of them, possibly, is one trained at the nest of an osprey in Estonia, which has racked up 50 million views. The website (http://pontu.eenet.ee) features nine webcams that live-stream the nests of birds that include a white-tailed eagle, a buzzard and a black stork. “The project connects a large public to the love of nature,” Leshem says. “We’re all voyeurs and we all love gossip. This is a live broadcast of the latest gossip from nature. In effect it’s a glimpse into a couple’s bedroom. It’s of importance to academic research, because the camera enables us to keep track of precise details — how many times do the adults bring food to the nest in the course of one day? Or, with barn owls, how much time elapses between the laying of the first and the last eggs in a clutch? The camera has a great advantage for night viewing. 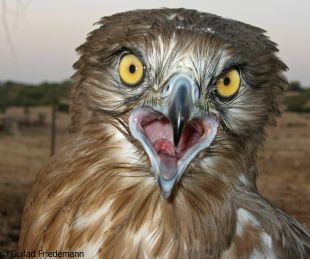 We’ve never had documentation of these birds at night before,” Leshem says. Dr. Yariv Malihi, wildlife ecologist for the central district of the Israel Nature and Parks Authority and one of the main partners in the project, is excited by its success. “We have an opportunity to monitor and understanding the kind of healthy ecosystem needed to raise chicks,” Malihi says. “Look how much food the buzzards gather from the nearby surroundings for their nest. They bring rabbits, lizards, birds, turtles, snakes, and all from an area that’s not particularly large,” he says. “There’s no better way to understand how the food chain works. The viewing emphasizes the importance of open spaces and of a sequence of habitats. These are subjects that we’ve been talking about for years and suddenly we’re seeing it on a live broadcast. The viewing enables us to understand that we are preserving nature so that an entire ecological system can function,” Malihi says. When asked to compare the webcams to reality TV, Malihi laughs. “It’s not ‘Big Brother House,’ because in order for the picture to be complete we should have put cameras on the birds’ necks, to see where they fly to bring food. What we’re broadcasting is a peep show, and it’s amazing of course. The responses are fantastic. They range from amazement to compassion for the prey animals,” Malihi says.